Trans-Consolidated Distributors is your one-stop shop for all of your shipping and packaging supplies. 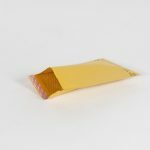 In addition to our selection of tapes, stretch films, and poly bags, we offer a variety of standard and custom mailers. 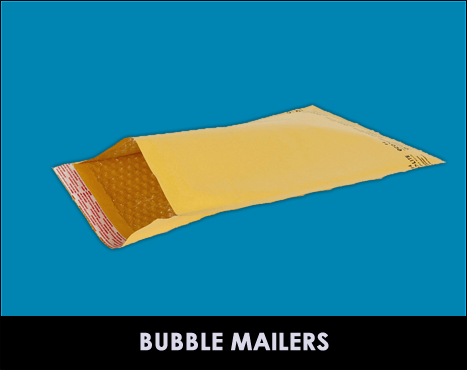 Stock up your mail room with padded mailers, bubble mailers, and poly mailers. Whether you would like an assortment of custom-printed mailers to create brand awareness for your business or poly mailers to ship your t-shirts, you will find the products you need at unbeatable prices. Our purchasing department ensures that you receive maximum savings on everything from our custom-printed mailers to our stock padded mailers. Shop our selection today. Strong polyethylene exterior with lightweight bubble cushioning on the interior. 3/16" bubble lining cushions products during shipment. 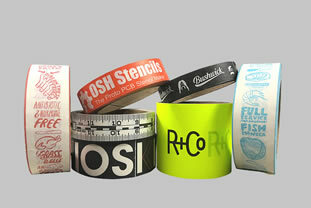 Smooth exterior makes labeling easy. 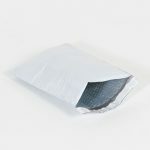 Lightweight bubble mailers save on postage costs. 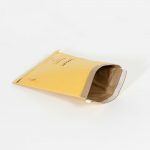 Mailers are constructed from attractive, 100% recycled, golden kraft paper, with high slip 3/16" bubble for easy product insertion. Self-Seal with convenient, tamper evident, peel and stick lip. 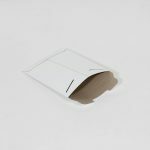 Give your mailing a polished and professional look with our white paper bubble lined mailers. Self-seal peel and stick lip. 3/16" bubble lining cushions product. Cohesive strips secure bags quickly and easily saving both time and money. Recycled cushioning fiber padding inside bag absorbs shock and protects contents from damage during shipping. 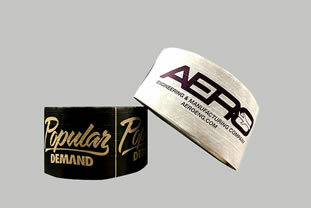 End flap is coated with a natural rubber adhesive that only sticks to itself. 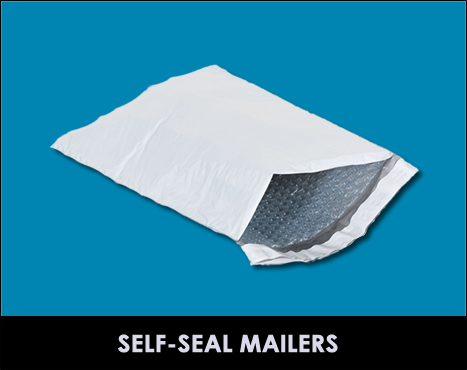 Strong polyolefin mailers are water, puncture, tamper, and tear resistant. White outer surface and a silver lining provide for excellent opacity. 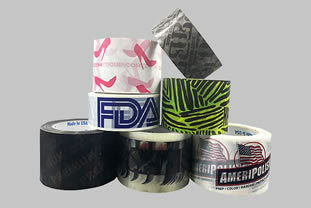 Self-Seal lip and tape provide quick and easy closure. • High strength seams keep contents secured even when overstuffed. 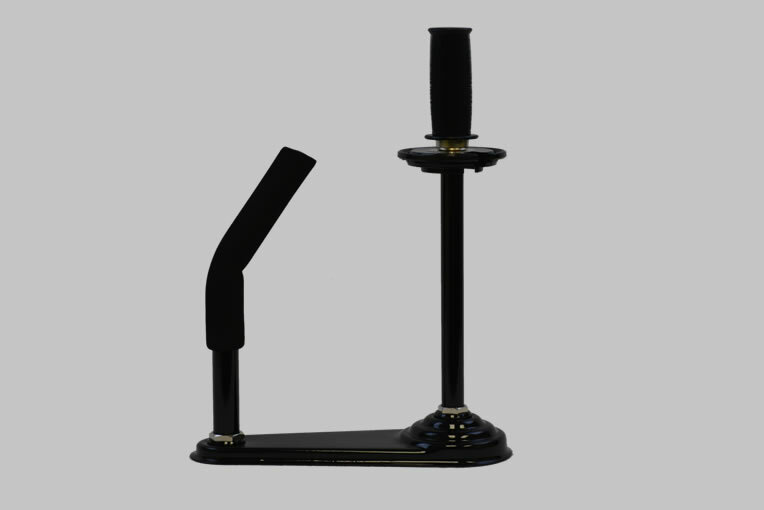 The answer to mailing bulky items, books or spiral bound materials. Attractive white mailer makes a great impression. Convenient side loading mailers make fulfillment a breeze. Peel and seal closure keeps contents secure during shipment. Mailers feature a pull tab strip for easy opening. Made from 100% Recycled paperboard. The First Dimension for each mailer listed below is the size of the opening. 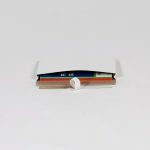 Top loading Stayflats® Plus Mailers open at the narrower side. Rigid construction - no additional stiffeners needed. Made from 100% Recycled paperboard (.028 kraft chipboard). 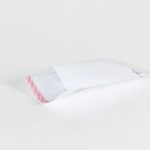 Side loading Stayflats® Lite Mailers and Express Pouch open at the wider side and make fulfillment a breeze. 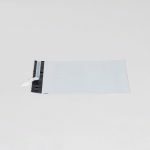 When appearance counts, choose these attractive white mailers to make your shipments stand out. Rigid construction - will not bend or crush. No additional stiffeners needed. Practical alternative to bubble packs or shredded paper padded mailers. 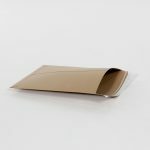 Made from .036 chipboard, 25% stiffer than all other paperboard mailers. 100% Recycled paperboard features a 97% Post-Consumer Recycled Content. Featuring a reusable, economical locking tab closure. A practical alternative to bubble packs or shredded paper padded mailers. Practical alternative to flimsy and thin paper or Tyvek cd sleeves. 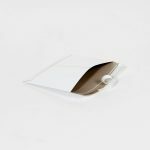 Rigid Paperboard CD Mailers come with a clear see-thru window and a Peel and Seal flap. 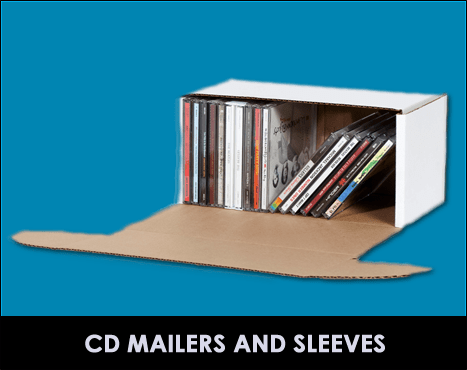 These CD Mailers offer you superior shipping damage protection. 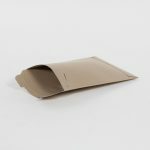 As with our other paperboard cd sleeves and cd mailers, our cd sleeves and cd mailers are manufactured from the highest quality sbs paperboard. 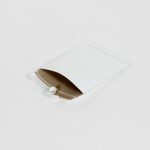 These CD Mailers feature a smooth glossy white surface that is ideal for color printing. Strong 32ect-B oyster white corrugated.